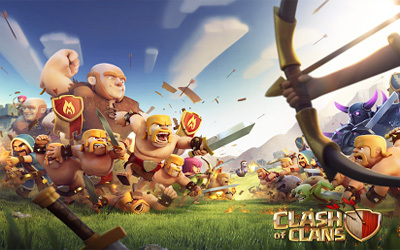 Previous version Clash of Clans 9.24.3 apk for Android will help you to downgrade or install older app easily. This is one of the best Strategy apps. You need to cleverly plan every move that you make so that you will get the victory. Say for example, you need to create base defenses. Beside of that, you will have to make the plan of your troop placement as well. You need to arrange their positions when they are launching the attacks. As stated before, the developer and the publisher of this game is Supercell. It is such a big name in the video game industry and people often compare Supercell to another giant in the video game industry like EA. There is such a massive expectation of many gamers about Clash of Clans. They hope for a game that can be a fun game to play yet strategic and not boring. They all get it from the game. The game was first released in 2012 which means that today it has been a a two-year-old game. However, nowadays it is still one of the top grossing games in PlayStore, along with Candy Crush Saga and many other popular games. It is now already in over 100 million downloads and still counting. With such massive gamers playing the game, it is believed that sooner or later this game can be the ultimate ruler of all Android games. The game is very welly made and is very good in general but it takes a very long time to do anything when you get to townhall 8.